Spray a glass baking dish with Olive Oil Cooking Spray. Then arrange your Gardein in the dish so none are touching, and then make a layer of Red Onion over the Gardein. Put in the oven for 5-8 minutes. Remove when the Onions are tender and a golden brown. In your favorite Dutch oven, add Bouillon, Wine, Braggs, Pepper, Potatoes, Garlic, Cabbage, Garbanzo Beans, Dill, Thyme, Onion Powder and Pickling Spices*. Cook to at a medium heat until it boils then turn heat down to a simmer. Then add Beets and the 1 Tablespoon Olive Oil . Let simmer for around an hour. To serve top with Vegan Sour Cream, Chopped Chives and Gardein (that will keep the Gardein from getting too moist). *SO! Let's say you hate actually eating spices. You can also take the Pickling Spices and put them in a tea diffuser all BOUQUET GARNI-style - like we did during the Coq Au Vin recipe instead of mixing them in the soup. That's the refined version, but we went rustic. We tossed ours in because I thought it would look cooler and we love spicy. I love beets! I guess I'm amongst the few- I'm the one who eats them out of the can (sorry) -haha! This recipe looks incredible! I also love beets! But I'll admit that they used to freak me out. I first tried them raw in a salad and thought they tasted like dirt. But after having them roasted, I love, love, love 'em! The recipe sounds pretty yummy....love those shoestring beets. They are really good for you and I'm cool with them in this soup but I have to admit I have never gotten over eating beets in these sushi type of rolls at a raw restaurant and it was very unpleasant. 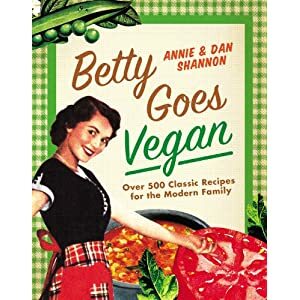 There are several other beet recipes in Betty so hold on! If you love beets - you should be happy! I'm a proud avocado-disliking vegan! I get weird looks, but I do not like them, Sam I am. :) Beets, I can handle. Oh, but nothing in the onion family other than garlic (no thank you to onions, leeks, shallots, scallions, chives...). I am indifferent to beets but am excited to eat this soup. 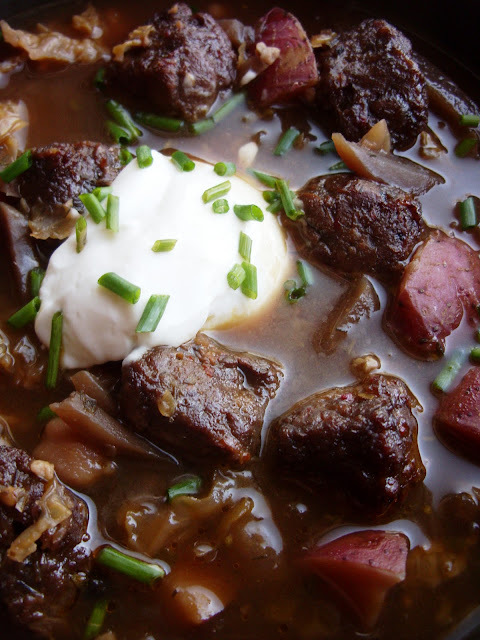 I love beets and borscht, so I'm sure I will love this recipe. Thanks for sharing! I love beets, but I have yet to make borscht myself! Made it, love it, and picky-eater-would-live-on-waffles-Isaiah loves it, too! Oh that makes me so happpy! I hate beets, and I have tried so many times to get myself to like them. It's just not happening, though.